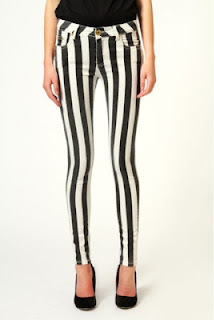 Stripes and monochrome are two of this seasons biggest trends. These Balmain jeans incorporate both of these trends into one pair of trousers. 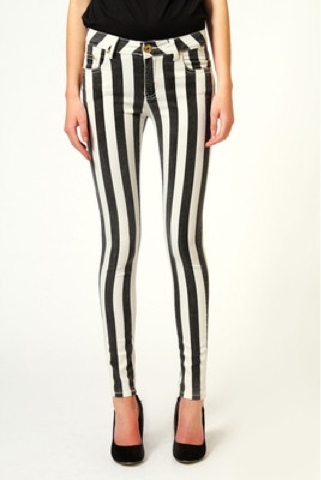 These jeans are extremely flattering, the vertical stripe lengthens and slims the leg. 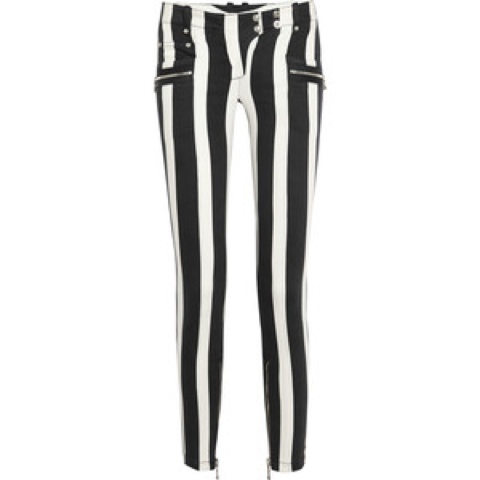 These Balmain jeans cost €1323 and are available from net-a-porter.com. This price is down right outrageous, I can't imagine anyone paying that much for a pair of jeans. But don't worry I have found a nearly identical alternative. The jeans below are from boohoo.com and costs €38. These jeans would look fab with a pair of heels and a leather jacket for a night out. But you can’t beat a pair of great-fitting jeans with a printed tee and a cool jacket for a casual look. A gorgeous pair of flats will finish the look off perfectly. 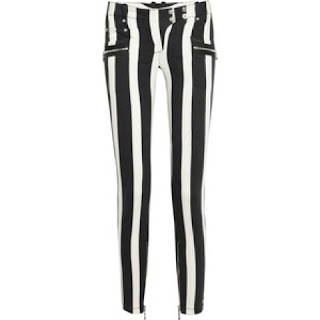 I think Haley Williams form Paramore was wearing these jeans on the Graham Norton Show!